JICA (Japan International Corporation Agency / (www.jica.go.jp) contacted the services of PlaNet Finance Japan (PFJ / www.planetfinance.or.jp) to implement the research of the project named “Survey on Microfinance Sector in Albania by Assisting its Development”. Its main goal is to strengthen the Albanian agricultural sector by assisting with the Albanian microfinance and financial inclusion stakeholders. Since JICA and PFJ have no local presence in Albania, they have partnered with the local ASC Union (Albanian Savings and Credit Union / www.ascunion.org.al). One of the components of the project is to organize workshops and international study tours to expose the various financial inclusion actors (including members of FED Invest) to international practices and models on cooperatives and financial inclusion in Europe, Africa and Asia. In Europe, the Netherlands and France have been selected for the visits as well as to learn about agricultural financing, working of cooperatives, and also about farms. 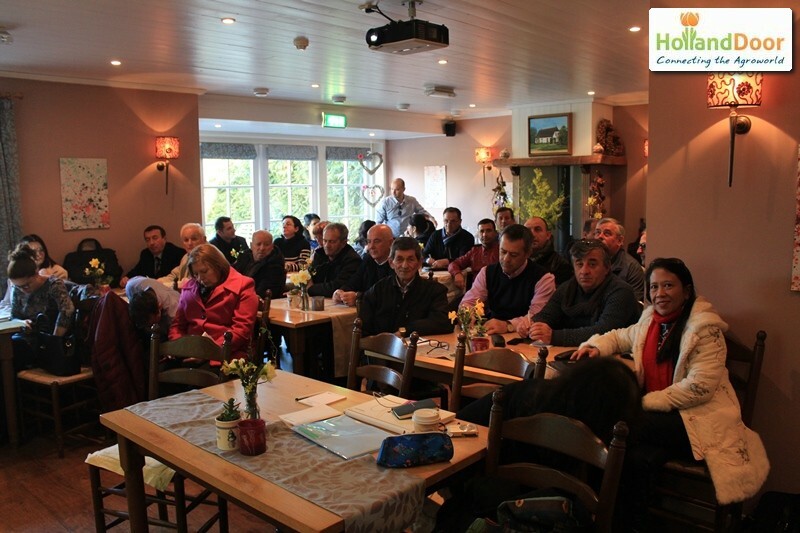 PFJ requested HollandDoor to organize an inspiring introduction into Dutch Agribusiness. This exposure should trigger the minds of the trainees to define new strategies of optimizing the Albanian Agro cluster by means of e.g. new financial incentives. Training of the selected officials should realize exposure to modern global agribusiness concepts, supply chains and modern practices in value addition and supply chain management. 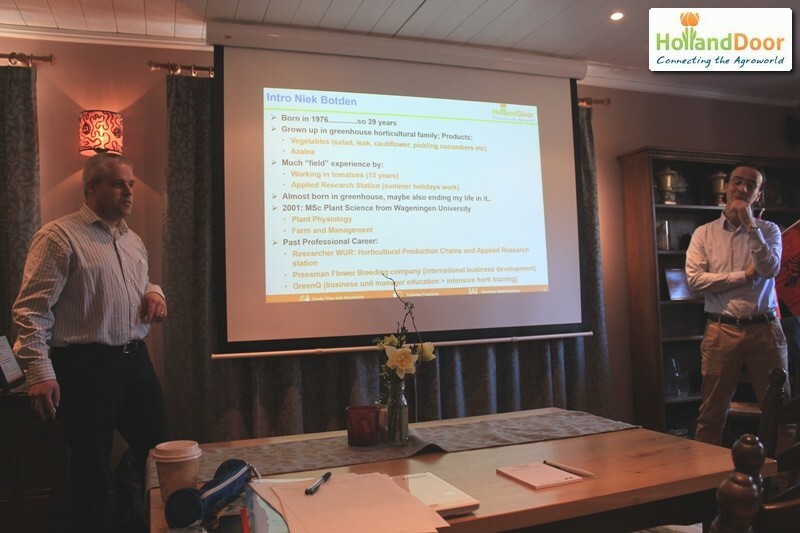 On Thursday 17 March 2016, the program started with a seminar by Niek Botden about The Netherlands in general and more specific about how its agricultural sector has developed and has been organized and financed and what challenges it faces. After the lecture, the group visited Duijnisveld Sweet Pepper, Sion Orchids and Greenpack. 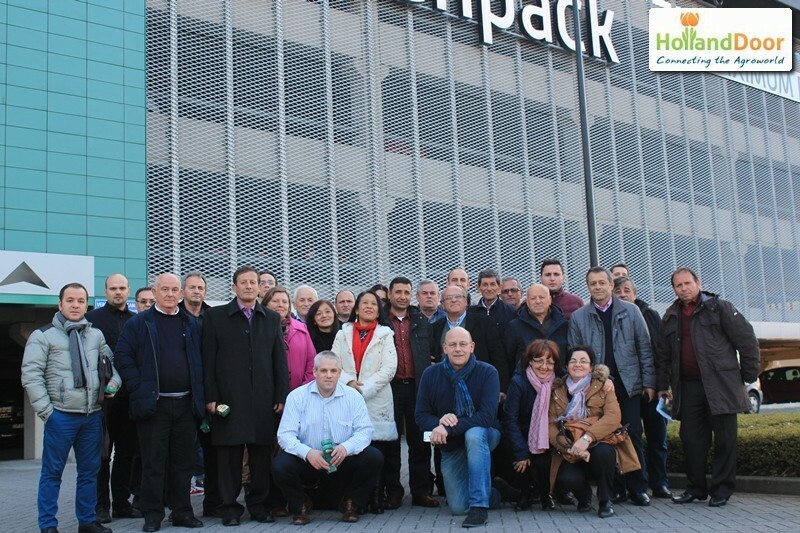 On Friday, visits were paid to FloraHolland and Rabobank in Eindhoven. Based on the seminar and visits, many discussions took place about the (im-)possibilities for implementation of the Dutch (financial) techniques into Albanian agriculture. HollandDoor wants to thank above mentioned companies for their hospitality.